That old saying, “a home away from home.” It’s a huge compliment to receive and to give! What makes a space worthy of this compliment, though? What could make your home worthy of such a flattery? 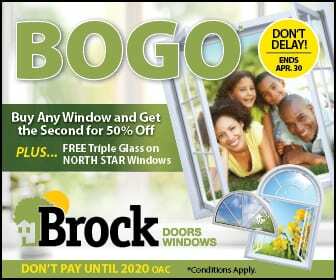 Here at Brock Doors and Windows, our professionals specialize in transforming Brampton, ON, homes into spaces any homeowner would be excited to return to each day after work. In fact, our aim is to make your space more comfortable than the best hotel or lodge you’ve ever visited. This does not mean you are bound to one “blah” colour throughout your home. But, choose a theme. The rule is “60-30-10.” So, 60% of your space should be one colour, then 30% of an accent colour, and 10% of a “pop.” For example, you could paint your living room walls taupe and choose a slightly lighter variation of taupe covers for your sofa and chairs. Work-in some teal and light teal accent pillows and select bright yellow faux lemons to place in a dish on the coffee table as your “pop” of colour. You can have adjacent rooms complement one another or choose an entirely different palette for each space. It’s up to you! The thing about choosing a distinct colour palette is that you are intentionally creating a theme, a mood—just as the hotels and lodges do. If your entry door isn’t welcoming, it will set the tone for you and for every guest who comes to stay. Here at Brock, we take your entryway seriously, because you deserve it. 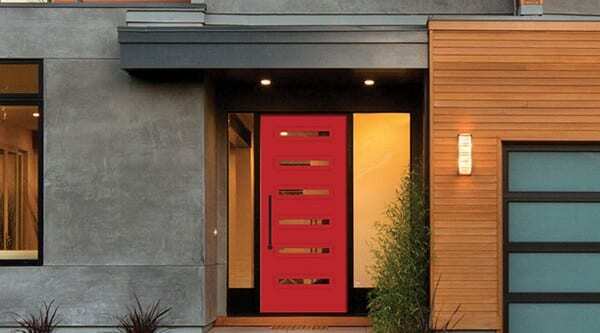 There are all types of doors for all types of home styles. What would look best in your home? If you’re not sure—our pros can help! We’ll look at your design goals and the architecture of your home and match accordingly. Double doors, single doors with transom windows, large knob or brass hardware—we’ll figure it out together! Your home can become the “home away from home” you always wanted with these tips and a new entry door in Brampton, ON from Brock Doors and Windows! Give us a call today!